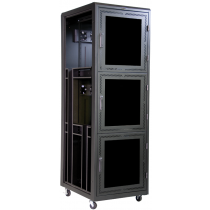 Great Lakes Co-location Network Rack and data cabinet enclosures provide secure enclosures to separate and protect client/server equipment. The compartment enclosures are available in two or three enclosure options and feature removable solid top and bottom panels, vented plexiglass front doors with locking swing handles, and two steel rear doors with locking swing handles. 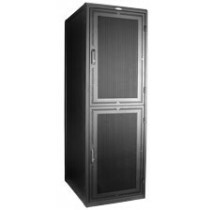 They also have two secure vertical cable management raceways, and all Great Lakes' cabinets are customizable to suit your specific needs.